LL's school had a field trip planned to a local corn maze for Halloween day. I decided to take the day off of work so that I could go with her. Ready for a field trip and a mommy/LL day! The first thing her class did when we got there was to go through the corn maze. This thing was HUGE but they had roped off a smaller section for the preschool class so that it wouldn't take as long to go through. I was thankful for that! 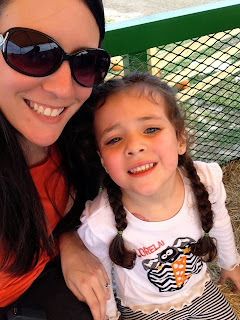 After we finished the corn maze, we headed over to this fun area that had a bunch of things for the kids to play on. They had a hay bale maze, a "town", a corn pit, a tire pit, and some water stuff. LL had a BLAST running around like a crazy person! 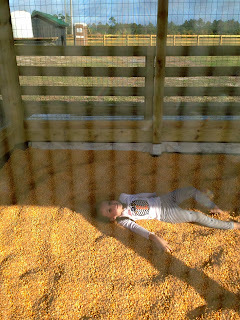 Who needs snow angels when you can make corn angels?? 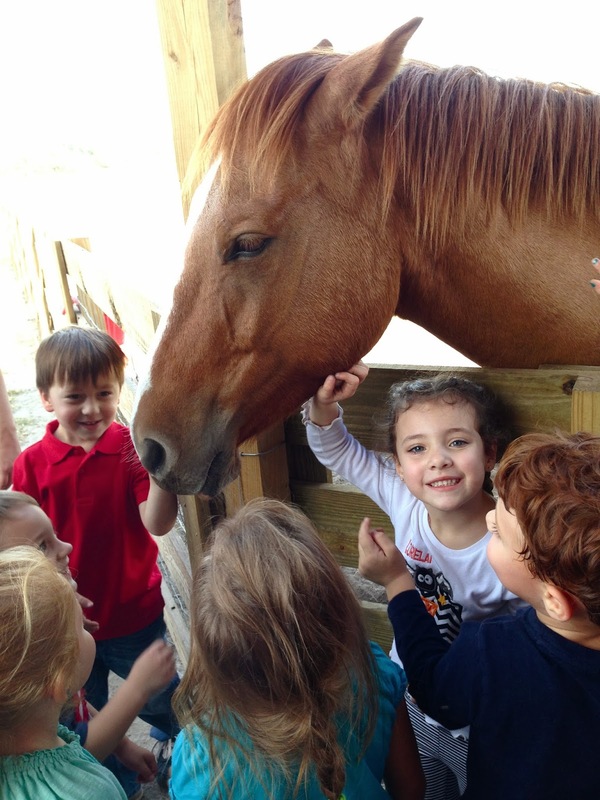 After the play area, it was time to see the animals! They had a wooden cow set up for the kids to "milk" - haha. The last thing on the agenda was a hay ride! It was such a fun morning with my best girl! We had a blast together, and I'm so glad that I was able to go with her on the trip.